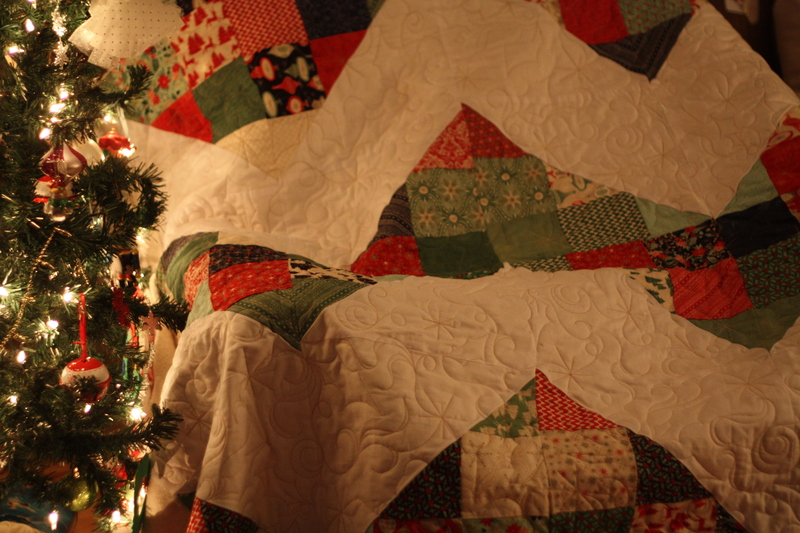 Christmas and quilts. I love ’em both. I am lucky enough to be an aunt to the most amazing nieces and nephews a gal could hope for. My goal is to gift each of them a quilt over the next 2 or 3 years. I managed to get one done this year, and hope that with this goal in mind early, I can do 2 or 3 more for next year. This year’s is another Missouri Star Quilt Company pattern, called All Wrapped Up, which I found in an issue of their Block magazine (which I highly recommend as each issue is packed full of great patterns). 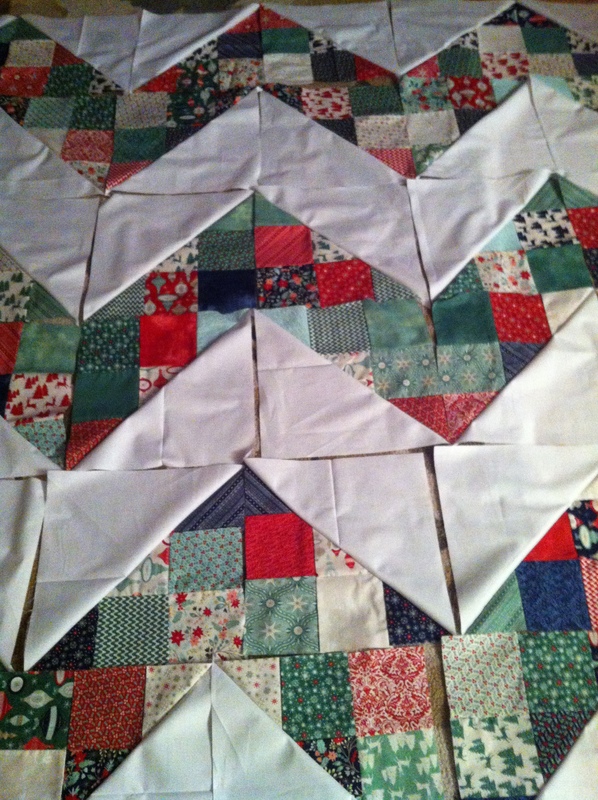 I used some Christmas-y fat quarter bundles I had picked up from various places over the past year, and some solids for sashing I had stocked up on in Calgary before leaving. 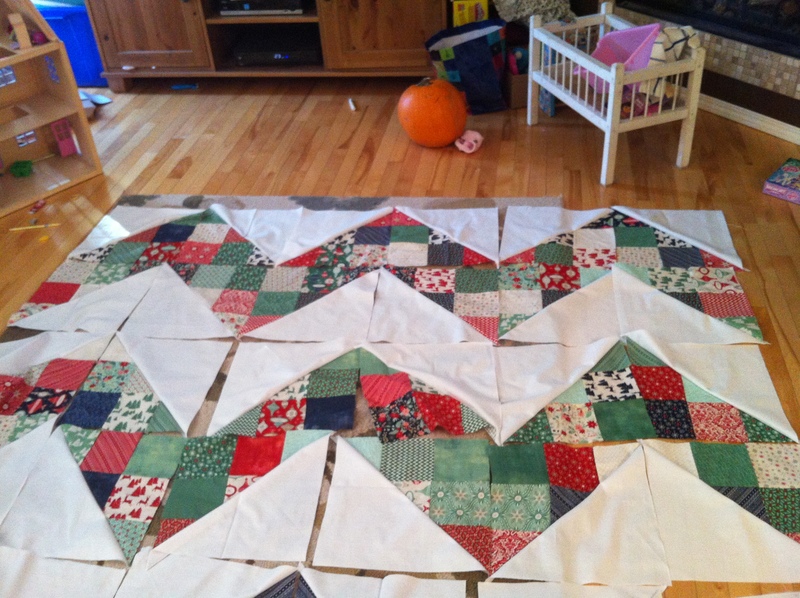 This quilt comes together quickly, and works really well for showcasing the fabrics we all fall in love with. 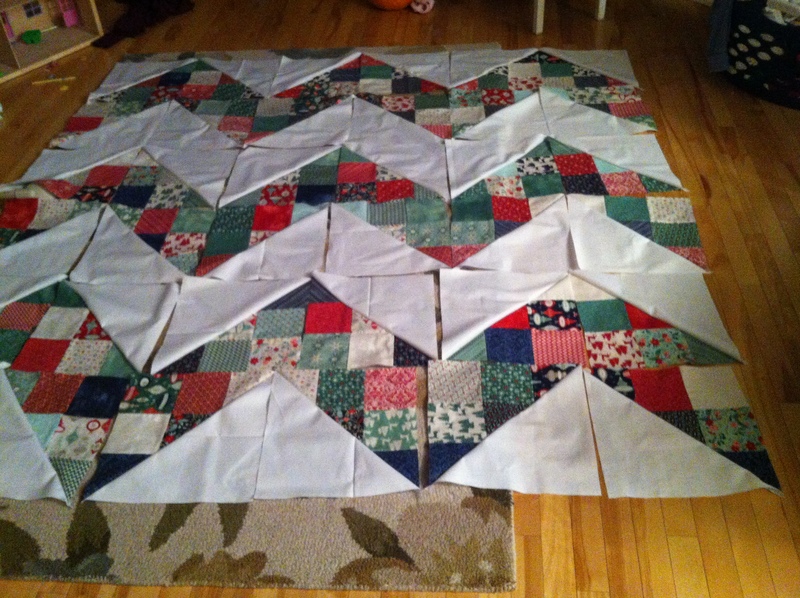 I kept the actual quilting pretty simple, thanks to a tight time frame, but it works. In total, I have three All Wrapped Up quilt tops made, one completed and gifted, and two for my own little family that I’ll finish and keep for two of my own girls. Might as well bite off more than I can chew. My first bed quilt. I was so pleased with being able to create something to hold, touch, and that keeps my babies warm. It was now Halloween and time to try and make something all of us could enjoy and snuggle under while watching Christmas specials on TV. Thanks to Pinterest, and discovering my love of charm packs, I set out to make this ‘easy’ chevron quilt. Still using my trusty drugstore Brother machine, I knew I wouldn’t be able to do the final quilting, so I sent it out to an amazingly lovely local long armer. Here are some pics.